In working on the revised study notes for Plutarch's Life of Philopoemen, I came across a funny example of why North's translation is sometimes easier to understand than Dryden's. Imagine this scene: Philopoemen is in the midst of a battle, and someone shoots a javelin through his leg. He is not so much reeling in pain as annoyed by the fact that he can't fight, because things are just getting interesting. Dryden says that " he was transported with the desire of partaking in [the battle]." North says "it spited him to the guts." At the July AO Conference July 24-25 in Indiana, one of our speakers is Karen Glass, author of Consider This: Charlotte Mason and the Classical Tradition . Her topic is: "Believe in Mind...."
She will be talking about how important our view of a child/person is, how Charlotte Mason's methods are cohesive and focused on her view of a person, and encouraging people to keep the big picture in mind and not get too worried about the details. ∙ Why our view of the child matters, how Charlotte Mason saw the child, and how that view lays a foundation for successfully educating them. Karen Glass - Advisory Member, missionary in Poland, and author of "Consider This: Charlotte Mason in the Classical Tradition" - shares from her experience as a homeschooling mom of over twenty years and avid researcher of educational philosophy. 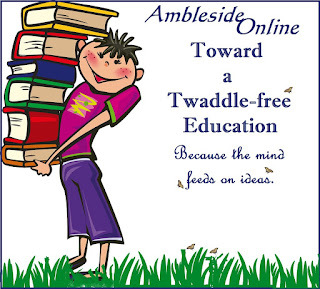 ∙ What is the heart and soul of AmblesideOnline: the people and the story behind the designing of the AO curriculum, the purpose and vision behind it, and ongoing encouragement for the parent/teacher who is taking this journey with us. Donna-Jean Breckenridge (Bible College graduate and 25 years homeschooling mom) and Lynn Bruce (Graduate of Education/Special Ed and homeschooling mom of 21 years), Advisory members both, will each share their unique perspectives from homeschooling AO through various trials and joys. ∙ How a CM education is ideal for both college bound students and for students with other vocations, presented by Advisory member Wendi Capehart and her daughter Nicole. Wendi is the mother of seven children, grandmother of quite-a-lot, and has been homeschooling for 27 years. Nicole is a second generation homeschooling mom to 3 lively children under 4 with the 4th due in September. Nicole received her degree in history through Purdue University's honours program, and was encouraged by her professors to pursue a PhD. She chose to stay at home and be a mom instead. Wendi's other homeschooled graduates have variously: also gone to college (library science), worked at the animal shelter, tutored writing, sewed, reupholstered aircraft, in addition to marriage and motherhood. ∙ How to be inspired about Nature Study. Auxiliary member Naomi Goegan of California loves exploring nature with her family and has led a local CM co-op with a focus on nature. 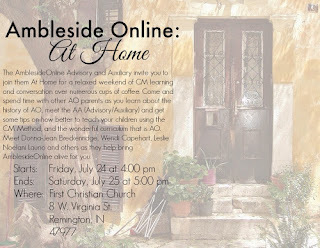 ∙ What AO's new science changes bring to your homeschool. Jeanne Webb, Auxiliary member coming all the way from Australia, and Kathy Wickward lead AO's Science team. ∙ How CM language arts integrates to create the literate child, from pre-reading through high school writing. Auxiliary member Lani Siciliano of Connecticut, homeschool mother of 6, has children working in a variety of language arts levels. ∙ How to use CM's reading method to teach your child to read. Auxiliary member Amy Tuttle (missionary in Peru) has blogged extensively about how she teaches reading. ∙ How (and why!) to teach foreign language. Auxiliary member Phyllis Hunsucker, missionary in Ukraine, has a bilingual home. ∙ Why preschool and kindergarten shouldn't look like school. Auxiliary member Kathy Livingston of Texas will be accompanied by her current Year 0 child, her 21-month old. ∙ How to get a head start on next year's composer study. Megan Hoyt, a classical music lover from childhood, recently authored "Hildegard's Gift." ∙ Delicious meals with at least one Advisory/Auxiliary member at each table. 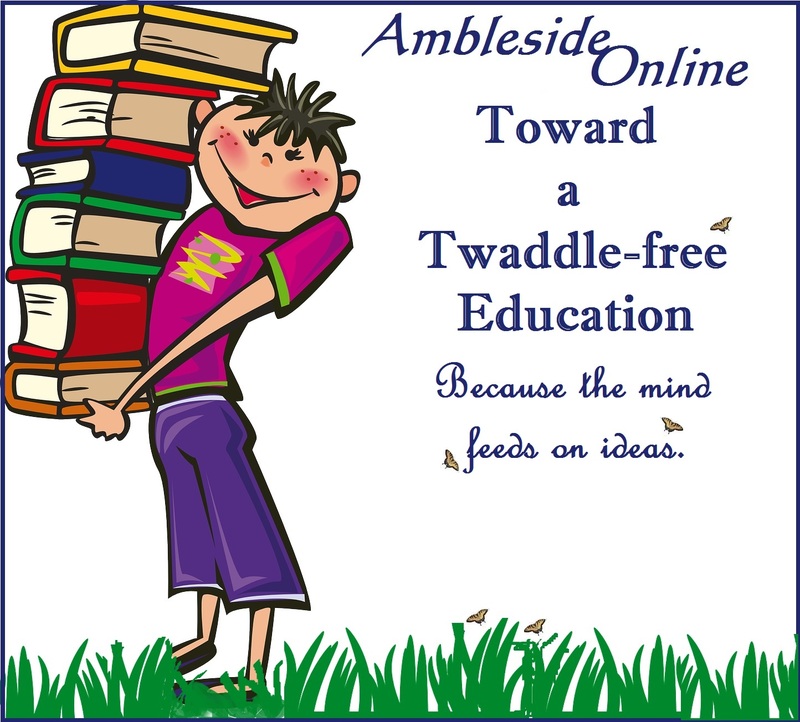 ∙ AmblesideOnline merchandise - pick up a coffee mug or totebag imprinted with the latest AO logo! ∙ and much, much more! For more information, visit our registration page. Register soon!